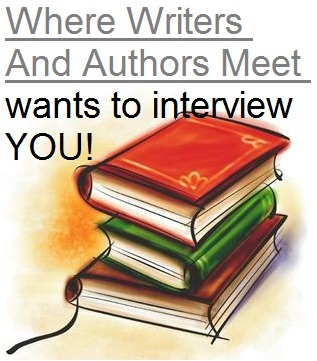 Virginia L. Jennings was interviewed for 'Where Writers And Authors Meet' blog hop which was started by the Where Writers And Authors Meet Facebook Group. The rules for this interview blog hop as well as how others can join can be found here. The short version of the rules are that someone from the group recieves questions from the group and answers them while tagging someone else in the group to interview. They are then supposed to answer their own questions and post 10 or more questions at the bottom for their next (tagged) person to answer.The following questions were posed to her by Patrick Perry who went before her and sent her these questions to answer. You can find Patrick's answers to his own questions here. I'd have to say that would have to be my 6th grade english teacher. We were frequently asked to write short stories in class. I once wrote a short story for fun at home and asked her if she could look it over and tell me what she thought. She encouraged me to keep writing... her advice stuck. 2. Where do you get your ideas from, when you write your stories? Thin air... no joke. I try to think of something that might be cool and then twist it to tell it in a way that has never been told before. 3. Did you ever think you’d be a writer? I contemplated it when I was in early elementary school. But I did not start to think that it was an obtainable goal until I was about high school age and had a stack of hand written papers with my story on them. When I had to get a binder to keep all of the loose leaf papers in, I began to realize that I MIGHT be on to something here! 4. Did you think you’d ever have any books published? 5. In terms of your writing, where do you see yourself in five to ten years, from now? In 5-10 years from now I hope to have atleast two more books out. Only time will tell. It would be really awesome if by 5-10 years from now I could atleast make enough money enough to help pay the water or electric bills. If not eh, that is fine too ;). My number one goal is to just have my story read by people who enjoy them. 6. Is writing just a hobby of yours, where you just do it for fun? It is a job and a hobby at the moment. I am aiming toward building it into a full time job, but right now I pretty much only write when my muse is particularly tickled. I do constantly work on different stories in my head to keep myself from getting board while driving or sitting in the waiting room though. So you could say I am still working on my writing every day, even when I am not typing it into a word document. 7. Is writing something you’d like to be well-known for? Would be nice. However I'd also like to still be well known for being approachable and helpful too! 9. Are your stories family-friendly, intense or a blend/mixture? Family friendly. I have considered writing an adult light romance but I'm not quite sure if I will go that route or not. I do prefer to keep all graphic violence, language, and innapropriate scenes out of my stories though. 10. Do you have a favorite book(s)/ Author(s)? If so, what is/are it/they? 11. When you’re in need of help with something, do you ask for help/guidance or do you tough it out, on your own? I like to tough it out on my own WHILE asking for guidence. Please point me in the right general direction, but I like finding my way from there. Unless we are talking driving directions. In that case you better give me full and complete details or I will get myself hopelessly lost and frustrated lol. 12. Do you have any works in progress, at the moment? 13. Are any of your stories worthy of a sequel, or more? I never like to completely cut off a story, because "I" like to revist them. Both of my currently published books could have the possibility of getting a sequel ;). 14. Which of your stories did you put the most time and effort into? I worked on Visionary From The Stars for over 5 years... so there is that. BUT with The Alien Mind I have had the opportunity to completely rewrite, illustrate, and format myself so I am not quite sure who is 'ahead' at the moment ;). I will have to say that I 'like' The Alien Mind better at this time though, just because I was able to have more creative freedom with it. Anyhow.... thats me ;). Now for the next 'victim' lolololol. I have chosen Mark McLaughlin to tag for the next interview. 1. You claim, on your blog, to love scary movies and B-movies... what about them do you find particularly fascinating? 3. You like horror, do you enjoy other types of books besides horror? Which books/authors would make it onto your favorites list? 4. What advice would you give to other authors who are trying to promote their books. How do you find YOUR audience. 7. What is your favorite part about writing in the horror Genra? 8. If you had to choose, what type of story do you like to write best- Novels or short stories?